Barbecue sauce is one of those things that took me years to figure out. Most recipes I tried were too sweet, too vinegary, too weird. One day I said to hell with it and threw a bunch of stuff in a pot on the stove. And it turned out wonderfully. I usually never measure anything, but when I made a batch a few weeks ago I decided to write it all down and share. Sharing is caring, yo. 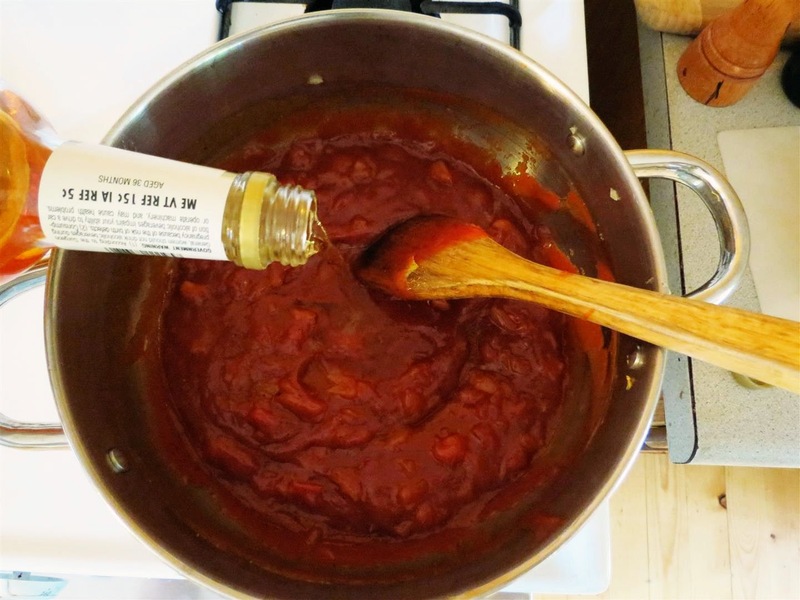 This particular sauce is sweet and tangy, with a bit of heat. 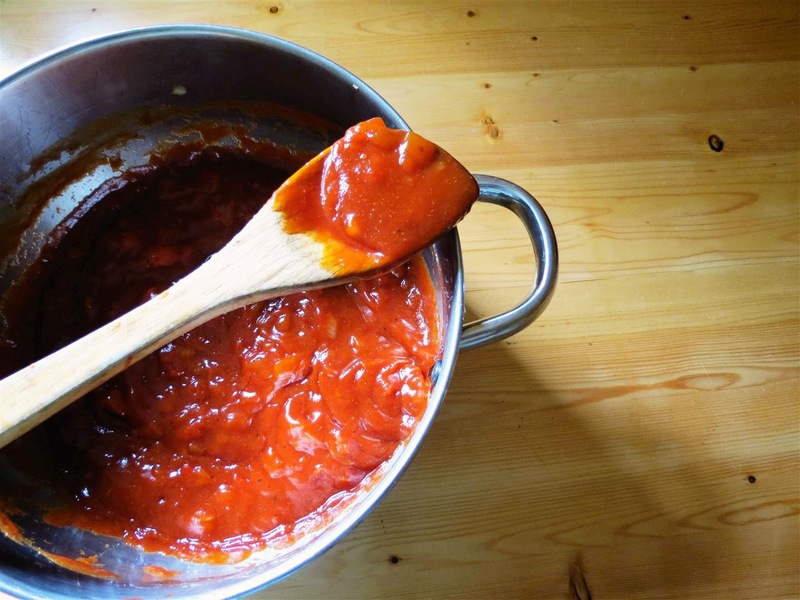 The great thing about this sauce is that it’s easily adaptable – don’t like it sweet? Back off on the molasses. Like it extra garlicky? Add more. Don’t drink alcohol? Well then you’re just a weirdo and I can’t help you. Don’t add any. 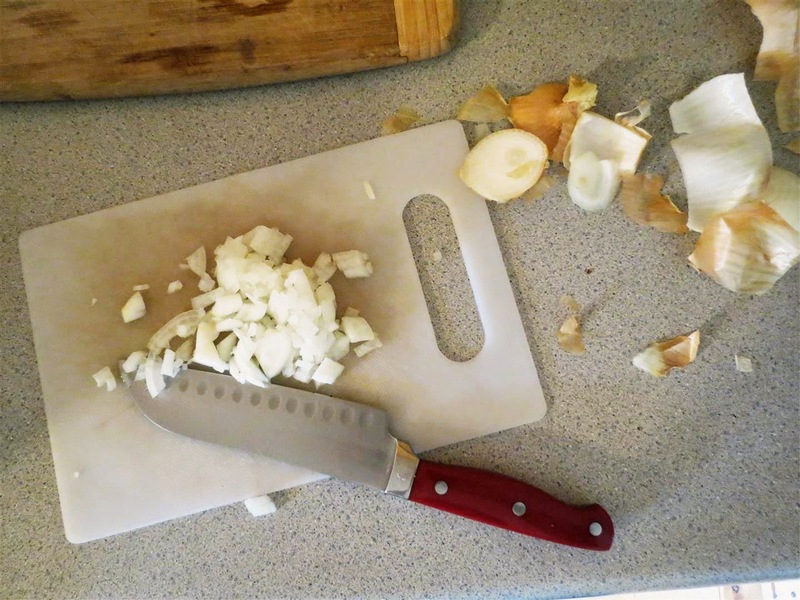 The sauce starts out with onions, garlic, and bell pepper in a pan. Once the vegetables are soft, everything else is dumped right in. The sauce takes about 20 minutes to throw togeher, if that. At the very end, a couple shots of bourbon are stirred in. Hoo boy. This sauce goes great with just about anything – the last time I made a batch, I cooked a pork roast in the crock pot, then shredded the meat and added it to the sauce. Perfect. Heat the olive oil in a large saucepan over medium low heat. Add the onion, bell pepper, and garlic. Season with a bit of salt and pepper. Cook, stirring occasionally, until the peppers are soft, about 8 minutes. Add the ketchup, molasses, vinegar, mustard, and sriracha. 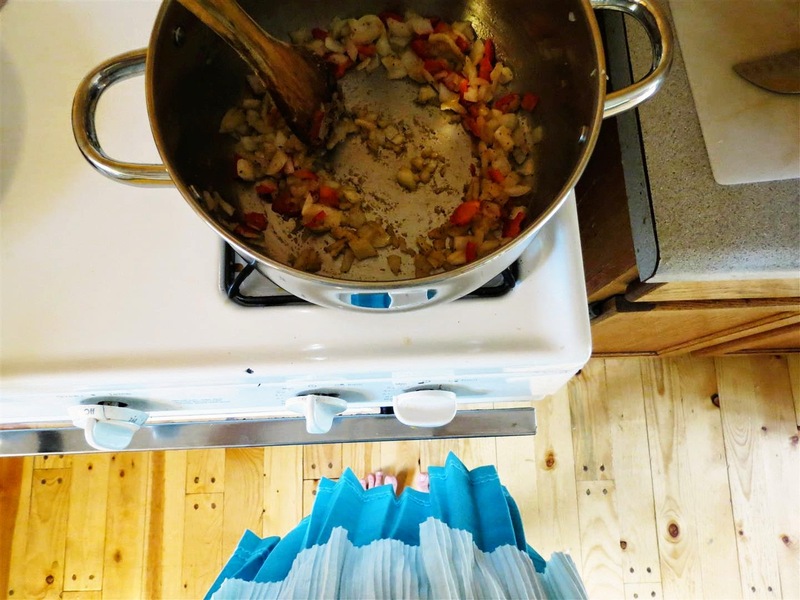 Mix well and simmer for about 5 minutes to combine the flavors. Remove from heat and add the booze. Mix well, taste to check the seasoning, and that’s that. Go forth and barbecue, my son. Makes about 2 cups. This sounds delicious. And you can never go wrong with bourbon…or rum. 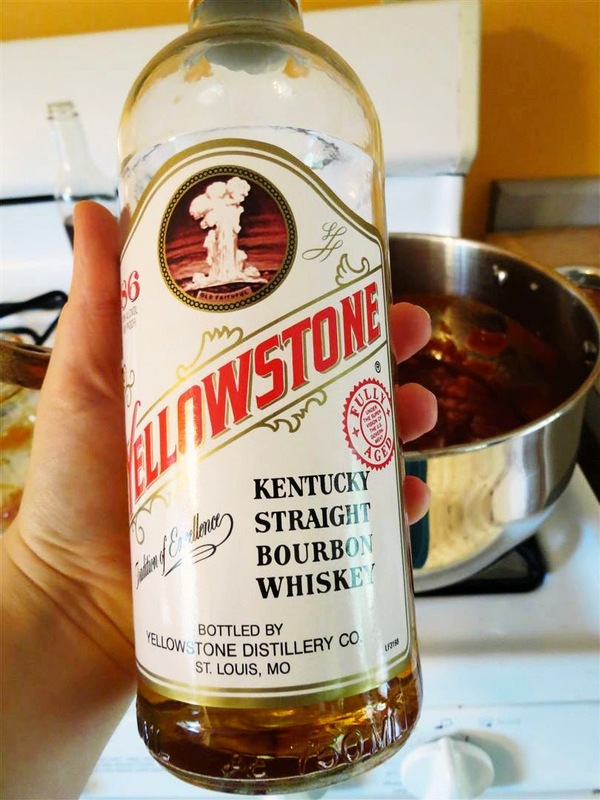 I admit, my favorite part of the sauce is the bourbon.